The watch that gave birth to timeless style celebrates its 50th anniversary. Max Bill designed the legendary Chronoscope (German for Chronograph) in 1962 for Junghans. Opting for a minimal appearance, Max Bill created a watch that was designed like a work of minimalist architecture. The simplicity and proportionality of the amazing Chronograph design reflects the "Bauhaus" design sensibilitity of Max Bill, as well as the precision watchmaking of Junghans. Perhaps not surprisingly since Max Bill was closely connected to the master of less-is-more, Mies van der Rohe, in his early years. After half a century, the Chronograph remains one of the few watches that have withstood the test of time remarkably well. A fine watch, refreshingly free from distracting bells & whistles. 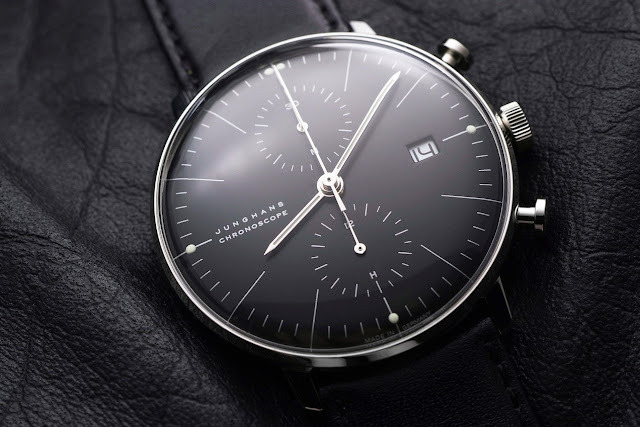 The beautiful minimalist Junghans Chronograph truly is in a class of its own. Max Bill designed the Chronoscope so all elements effortlessly blend together: design, craftsmanship, quality and materials. When it comes to timeless style, the Junghans Chronograph remains unrivaled to this day. Max Bill was an architect, painter, sculptor, politician, educationalist, writer, in short, a 'universal creator'. Swiss-born German artist, Max Bill, a product of the Bauhaus generation, pupil of Walter Gropius and kindred spirit of Josef Albers, Wassily Kandinsky, Paul Klee, Le Corbusier and Mies Van der Rohe was a virtuoso designer and creative artist, as his diverse activities as a painter, architect, sculptor, teacher, and designer amply demonstrate. His work is characterized by a clarity of design and precise proportions which are unrivaled to this day. The work of Max Bill was a continuous balancing act between free art and applied art, between severe, reduced forms and flowing natural ones, between philosophical thinking and practical application. Examining the subject of 'time' was a fascinating challenge for Max Bill, and one that occupied him for decades. 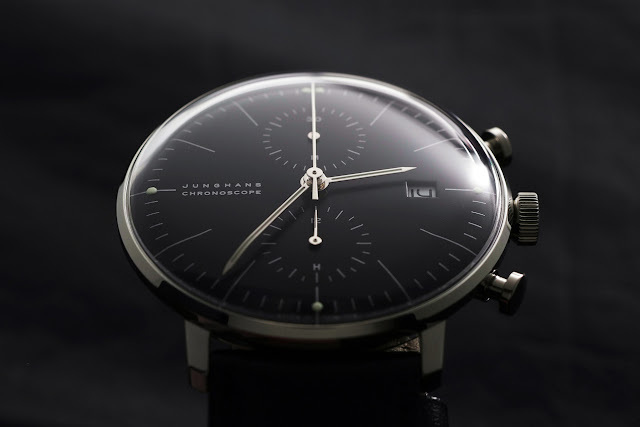 A remarkable example of his work is his beautiful Chronoscope watch which he designed for Junghans in 1962.